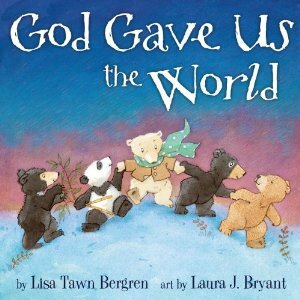 This time we were able to review God Gave Us the World. It was just as amazing as the others. This is a series I would recommend all families to have in their house. This book is about how one little bear asks the question "Why didn't God make us all the same?" 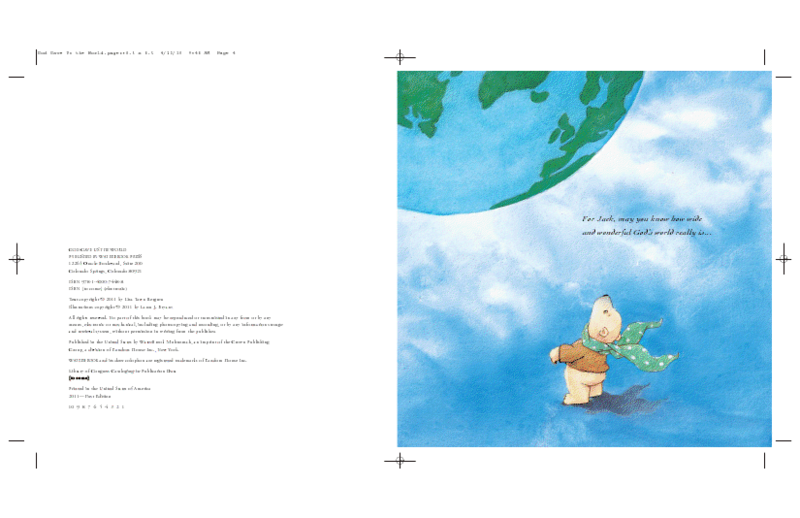 Your child will then learn as does the bear how we are all different yet special in our own way. 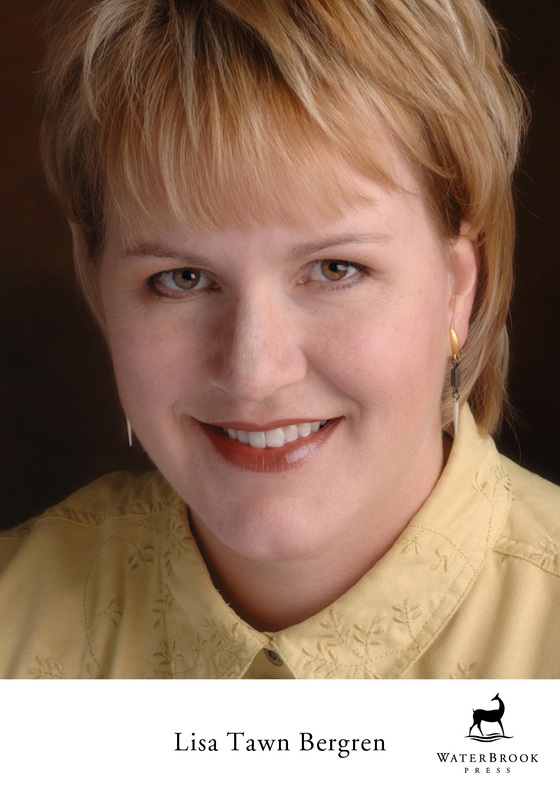 Lisa Tawn Bergren is the award-winning author of nearly thirty titles, totaling more than 1.5 million books in print. She writes in a broad range of genres, from adult fiction to devotional. 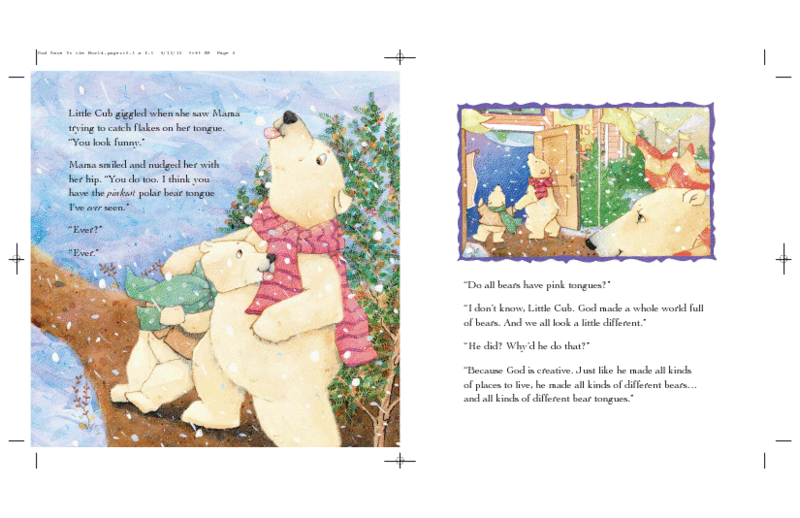 God Gave Us Love follows in Lisa’s classic tradition of the best-selling God Gave Us You. She makes her home in Colorado, with her husband, Tim, and their children, Olivia, Emma, and Jack. 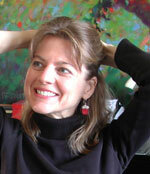 Laura J. Bryant studied painting, printmaking, and sculpture at the Maryland Institute College of Art in Baltimore. 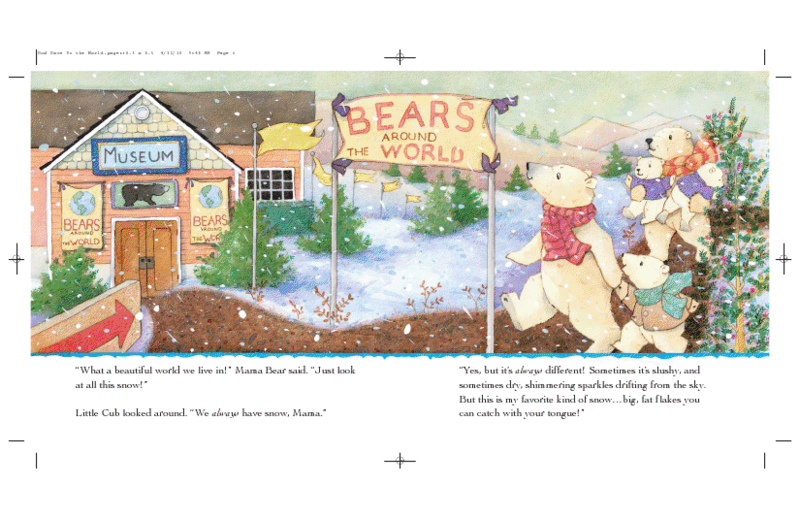 She has illustrated numerous award-winning children’s books, including God Gave Us You, Smudge Bunny, and If You Were My Baby. Laura lives in Asheville, North Carolina.